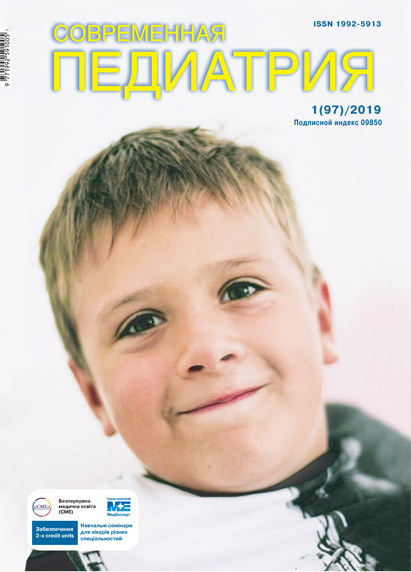 Shadrin O. H., Shutova O. V.
Objective: to study the efficacy of using a combination of arginine and betaine («Betargin») in the treatment of biliary tract diseases (BT), accompanied by biliary sludge syndrome (BS) in children. Material and methods. There were 30 children aged from 5 to 18 years with functional disorders of BT under observation. Clinical and anamnestic data, results of dynamic echoocholecystography, and biochemical study of blood serum were studied. All patients were administered complex therapy according to the protocol and additionally the arginine-betaine complex «Betargin» during one month. Results. The follow-up control showed a decrease in the manifestations of clinical symptoms, positive changes in the serum lipid profile and the state of BT organs according to ultrasound data. Conclusions. Pathogenetic mechanisms of the BS formation in the hepatobiliary pathology are associated with impaired bile lipid metabolism, which correlates to the serum dyslipidaemia. Introduction to the treatment regimen the complex drug «Betargin» allows correcting dyslipidaemias changes and reduce BS. Key words: biliary tract, functional disorders, children, treatment, Betargin. 1. Almakaeva LG, Litvnova EV. (2011). Arginin i ego primenenie v meditsine i farmatsii. Liky Ukrainy. 1(5): 23—26. 3. 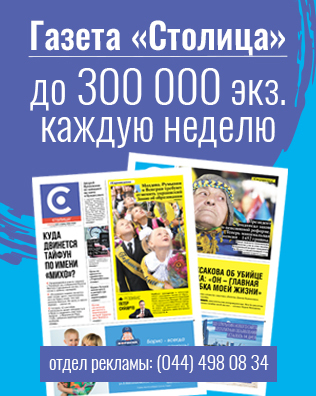 Gatsenko VP, Atkova ER, Ivanchenkova RA. (2011). Tselesoobraznost kompleksnogo podhoda pri korrektsii lipidnyih narusheniy u bolnyih zhelchnokamennoy boleznyu i holesterozom zhelchnogo puzyirya. Lechaschiy vrach.7:15–19. 5. Lavrova AE, VarnachYova LN, Shabunina EI, Kolesov SA, Korkotashvili LV, Byistranova DV, Dmitrieva GV. (2014). Osobennosti narusheniy lipidnogo obmena u detey s gepatobiliarnoy patologiey. Voprosyi sovremennoy pediatrii. 13.2:107—111. 6. Tyuryumin YaL, Shanturov VA, Tyuryumina EE. (2012). Fiziologiya obmena holesterina (obzor). Byulleten VSNTs SO RAMN. 2.84. ch.1:153—158. 7. Unifikovani klinichni protokoly medychnoi dopomohy ditiam iz zakhvoriuvanniamy orhaniv travlennia: nakaz MOZ Ukrainy № 59 vid 29.01.2013 (2013). http://www.moz.gov.ua/docfiles/dod59_2_2013.pdf. 8. Shadrin OG, Shutova EV. (2015). Otsenka pokazateley apolipoproteinov APO-A1, APO-V, APO-E i ih vzaimosvyaz s fenotipom APO-E u detey s zhelchnokamennoy boleznyu. East European Scientific Journal. 4; Pt 1: 149–153. 9. Shutova EV. (2012). Sovremennyie napravleniya sovershenstvovaniya diagnostiki, profilaktiki, patogeneticheskoy korrektsii holesterinovogo holelitiaza v detskom vozraste. Sovremennaya pediatriya. 1.41:110—113. 10. Scherbinina MB. (2012). Zhelchnokamennaya bolezn: terapevticheskie aspektyi: monografiya. Kiev: Medkniga. 12. EASL Clinical Practice Guidelines on the prevention, diagnosis and treatment of gallstones. European Association for the Study of the Liver (EASL) (2016). J Hepatol. 65; 1: 146—181. https://doi.org/10.1016/j.jhep.2016.03.005. 13. Espinosa-Saavedra D, Flores-Calderon J, Gonzalez-Ortiz B, Rodriguez-Gonzalez P. (2014). Characteristics of pediatric patients with biliary lithiasis. Immediate post-operative evolution. Rev Med Inst Mex Seguro Soc. 52; Sup 2: 74—77. 14. Jolliffe CJ, Janssen I. (2007). Development of agespecific adolescent metabolic syndrome criteria that are linked to the Adult Treatment Panel III and International Diabetes Federation criteria. J Am Coll Cardiol. 49(8): 891-989814. https://doi.org/10.1016/j.jacc.2006.08.065. 15. Kim SK, Seo JM, Chae YR, Jung YS, Park JH, Kim YC. (2009, Feb). Alleviation of dimethylnitrosamine-induced liver injury and fibrosis by betaine supplementation in rats. Chem. Biol. Interact. 177(3): 204-11. doi 10.1016/9j.cbi.2008.09.021. 17. Nissinen MJ, Pakarinen MP, Gylling H, Koivusalo A. (2013, Nov 1-2). Cholesterol and non-cholesterol sterols in serum and gallstones interfere with pathogenesis of pediatric gallstone disease: poster presentations 1310. Hepatology. 58; 4; Sup 1. Abstracts of the 64th Annual Meeting of the American Association for the Study of Liver Diseases: the Liver Meeting 2013, Washington, D.C., US: 844A. 18. Rahilly-Tierney CR, Arnett DK, North KE et al. (2011). Apolipoprotein ε4 polymorphism does not modify the association between body mass index and high-density lipoprotein cholesterol: a cross-sectional cohort study. Lipids Health Dis.10. https://doi.org/10.1186/1476-511X-10-167; PMid:21939561 PMCid:PMC3187732. 21. Ueland PM. (2011). Choline and betaine in health and disease. J Inherit Metab Dis. 34: 3—15. https://doi.org/10.1007/s10545-010-9088-4.